Some people look forward to Fridays because it is the start of their weekend and the end of a stressful work week. But to us, when it rolls around that only means one thing…HYEEENAS get unleashed in the Friday Fire Cypher! Word to the wise don’t come up here unprepared because you will get eaten alive. Jay IDK was up first and almost put Josh from Phantogram (production for Big Boi, A$AP Rocky, etc.) beat in the coffin before anyone else could say a word. That’s why we say come ready because when you have that hunger behind the mic anything can happen. Next up was…H Money out of Philly and immediately when you see that city’s name the expectations for bars go up, knowing how many lyrical assassins have come from that area over the years. That pressure is nothing for him as his family has been close to music for years, making note that his grandfather worked closed with legends from Motown like The Temptations. But, once all of that fades to the background and that beat drops only one thing remains, BARS! H Money gave us plenty of them and touched on everything in a raw, clever way leaving everyone with that scrunched up face. After the two showcased their skills solo and raised the bar even higher for future Friday Fire Cyphers, it was time to take a victory lap of sorts. As Josh flexed on the production once again completely switching up the sounds, neither of them missed a beat proving they really have what it takes trading versatile 16s. So why not create an original beat on the spot and give the people something new? Consider it done. 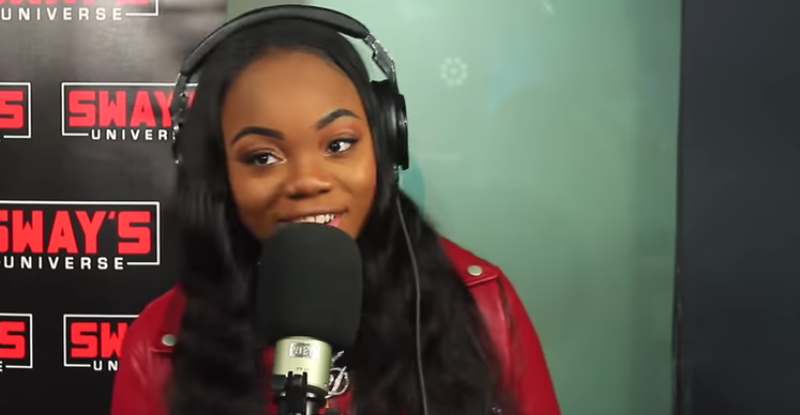 Litt Fest Artist Take Over on Sway in the Morning. Friday Fire Cypher ft. Skitzo, Nitty Scott MC, Slim Dollars, Dave East and Perrion.